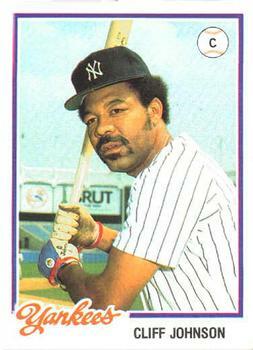 Happy Birthday to Cliff Johnson, whose clubhouse incident with Goose Gossage put the Yankees closer on the Disabled List for two months. George Steinbrenner traded him to the Cleveland Indians for Don Hood. After being told of the trade in the Yankees clubhouse, I was told Johnson said: “I didn’t like it here anyway.” Cliff played in the National League before coming to the Yankees and I never played against him. Frankly, I’m surprised Thurman Munson didn’t beat the crap out of him.